This election has been the most polarizing and divisive election we have seen in recent times. Donald Trump’s violent and repulsive rhetoric leaves many people seeing no choice but to choose the “lesser evil” candidate. It has also allowed the corporate media to divert attention from Hillary’s pro-Wall Street career and warmongering which will keep coming back to haunt her. 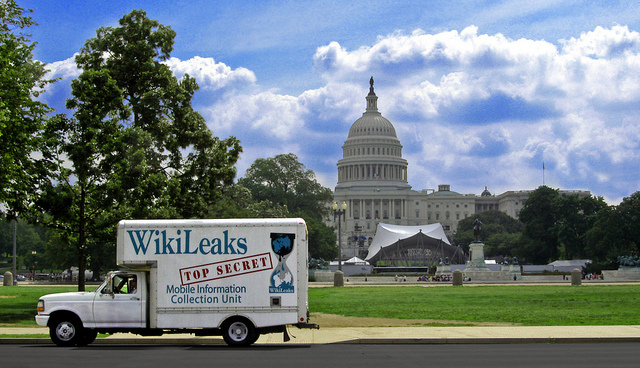 Over the last few months WikiLeaks has been releasing thousands of leaked emails exposing Hillary and the entire Democratic Party apparatus for its close ties to Wall Street and foreign dictatorships like Saudi Arabia. That leaves one to ask #WhichHillary will voters be getting come this November? Earlier this year I wrote an article titled “Why Black People Shouldn’t Support Hillary” in which I outlined the political record of Hillary Clinton, not just as it related to the black community but also her flip-flop positions on a range of issues including LGBTQ rights and abortion. We saw Hillary flip-flop from one position to the next, supporting the TPP then not supporting it, saying “no” to a $15 minimum wage, then saying “I support the movement.” She has had a change of heart on other issues as well. Now some may say that the reason Hillary is changing her position is because she is being pushed by the movement. Well let’s see how much Hillary has been redeemed from her corporate war hawkish past ways. How can we trust a candidate who thinks “back room” deals with corporate lobbyists, and lying to the public about her actual positions, are a necessary part of politics? Early in her campaign Hillary received a lot of criticism for receiving campaign donations from private prison lobbyists and corporations. Hillary claimed she will donate that money to charity but is her new-found recognition of widespread injustice in the justice system just her “public position”? Hillary’s praise of the 13th amendment, coming from a candidate who participated in ramping up mass incarceration and the prison industrial complex specifically targeting black and brown people, is something to make me “a little nervous” for sure. The 13th amendment formally ended chattel slavery “except as punishment for a crime.” Today tens of thousands of prisoners are on strike against the prison forced labor system. How many millions of working people were devastated by the predatory lending and scams happening in the financial markets? How many homes were foreclosed on, how many jobs lost? Hillary admitted her goal when it comes to Wall Street is to ensure that Wall Street continues to prosper. Where does that leave working and poor people who continue to struggle working low wage jobs with no benefits? That doesn’t seem to be much of a concern for Hillary since she has admitted that she has no connection with working people. With all the suffering that is happening worldwide and here at home how can one claiming to fight on behalf of working and poor people, to fight for the needs of everyone, think the system is not rigged? Does Hillary really believe that the $153 million she made in speaking fees while 15 million children in the U.S. live below the poverty line is due to a fair and just system? If this is what Hillary really thinks of trade how can working people trust that she will protect their jobs? How can we ensure that she will stand against the TPP which she strongly advocated for in the past and as Secretary of State? Which Hillary should voters trust: the public Hillary or the private one? #WhichHillary is the Lesser Evil? It’s not surprising that Hillary didn’t voluntarily release these speeches. Imagine if she had released them during the primaries how damaging they would have been to her campaign. These speeches show her support for fracking, Wall Street, and many other positions that the majority of Democratic party voters are against. The leaks also show the biases of the corporate media and leading U.S. media organizations giving favorable coverage to Clinton over Bernie. The initial leaks led to the resignation of DNC chairwoman Debbie Wasserman Schultz at the start of the Democratic convention, a strategic move to avoid a potential fallout between Bernie supporters and the Democratic Party. Instead of distancing herself from Schultz, Hillary Clinton immediately hired her to serve, in Clinton’s words, “as honorary chair of my campaign’s 50-state program to gain ground and elect Democrats in every part of the country.” The presidential nominee has never once criticized the DNC for its biases or the ex-chairwoman. Hillary Clinton never even mentioned why the resignation happened. The fact is these emails have only confirmed what Hillary has spent her entire political career doing: supporting the people who back her – Wall Street! The Democratic Party leadership had a real opportunity to defeat Trump and the rise of right wing populism by backing Sanders yet they chose to back a candidate whom voters dislike almost as much as Trump. Now voters are left with a choice of “anybody but Trump.” But in many cases it was the policies of the Democratic Party and politicians like Hillary which led to the anger and frustration with establishment politics that is taking a distorted form in support for Trump. Break From The Two Parties Of Wall Street! The Democratic Party is not a party for working people. Working people deserve a presidential candidate that is willing to stand up to big business, environmental destruction, and horrendous trade deals. Working people deserve a candidate that will stand by their “public position.” The only way to achieve that is to build a party of the 99% that isn’t tied to big business and Wall Street, a party where working people decide policy democratically and don’t have to compete with million dollar campaign donation from billionaire donors. Now is the time for independent politics, not just to defeat Trump but future right wing candidates that will continue to exploit the genuine anger of working and poor people. The corporate media will tell you otherwise and the truth is many people will vote out of fear of Donald Trump. I understand, for I too share the disgust and concern for someone like Trump becoming the president. I want to defeat him with a candidate that represents the issues that I care about and one that is able to redirect the genuine anger and frustration feeding into right wing populism. I don’t believe the Democratic Party is willing to provide such a candidate due to its close ties to big business. We need to lay the foundation for a party of the 99%. That is why I will be casting my vote for Jill Stein, the Green Party candidate . I cannot ignore the terrible policies of Hillary that not only affect people here but abroad as well. I cannot let the fear of one man outweigh the reality for most, including myself, that this system is NOT working! The Democrats and Republicans have failed to deliver any real change for the better and I’m not prepared to wait any longer. You will be faced with this same decision. The choice between the lesser of two evils. You will think to yourself, “I can’t let Trump win.” I get it, fear is a powerful thing but when you go to the voting booth this November, just know #WhichHillary you are being told you’ve got to vote for. Next articleProtest the Eviction of the North Dakota Native Americans’ Protest Camp!